PlatoWork brain stimulator! The world's first headset for boosting cognition: improve your memory, focus and creativity! Train your brain to be more focused, and creative, while boosting your cognition using the world's 1st neurostimulation headset, PlatoWork by PlatoScience. Everybody knows all too well the mental “wall” they hit in the middle of their work or a noticeable stagnation in their creative streak. It’s as if in the middle of an idea, or intensive study session, or finishing up something at work, your cognition plateaus along with your productivity and concentration. A company called PlatoScience uses the well-established technology of neurostimulation to breakthrough your plateaus, and enhance your cognition, concentration and creative abilities. The technology behind PlatoScience’s PlatoWork headset has been used for a while along with the research around its usage and entailed benefits. Utilizing transcranial Direct Current Stimulation (tDCS), the headset works by safely sending low electrical microcurrents through designated regions of your brain resulting in more focused and creative thinking. The goal of neurostimulation is to optimize brain activity by applying these microcurrents, similar to the natural electrical signals in the brain. Although tDCS technology has been around for a while, and its benefits well-documented, the usage of this technology was limited to closed settings, mainly reserved only for top-tier researchers, medical purposes, and Airforce pilots. 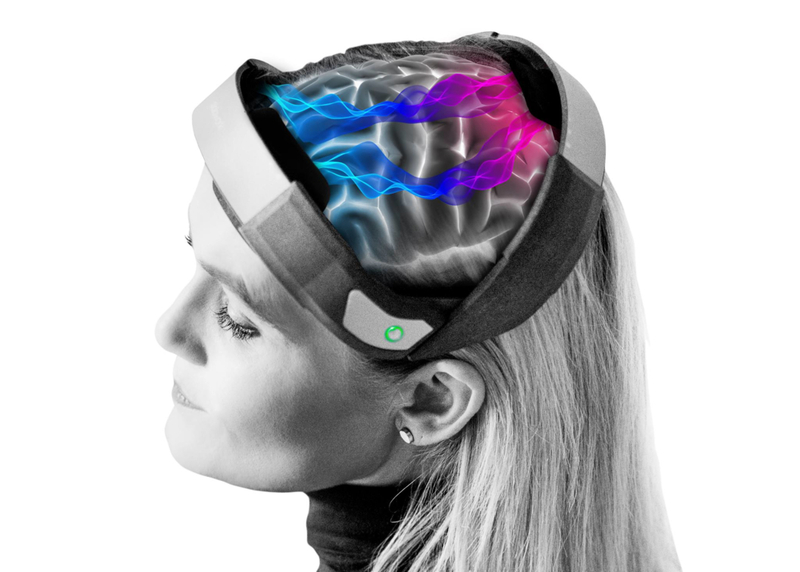 PlatoWork allows for tDCS technology to be easily accessible to the everyday mainstream consumer. PlatoWork consists of a headset and a smartphone app. With the app, the user can choose one of the 4 different modes: Learn, Create, Concentrate & Rethink, which are then delivered as unique neurostimulation sessions from the headset. Each different mode targets different areas of your brain to produce distinctive results, like boosted memory, creativity, or enhanced concentration to be able to rethink and solve complex problems. In addition to tDCS, the headset also uses bluetooth connection, cloud communication, a rechargeable battery and comes with a lightweight structure and adjustable settings. The benefits of PlatoWork can be acquired by using the headset with the App daily for up to 30 minutes in any one of the 4 modes. Neurostimulation works because your brain is a muscle, and PlatoWork acts as a tool to help you train your brain like a muscle and use it more efficiently. The headset can be pre-ordered on the campaign’s Indiegogo page with up to 30% off. All the information on PlatoWork can be found at the campaign page here.